Welcome to Charleston Knob Company! CKC was born in what several travel and international magazines have called the “No.1 City in America and the World” – Charleston, South Carolina. Our fair city is celebrated for its incomparable history, architecture, arts, cuisine, beaches, plantations and innate style. CKC products are designed and handcrafted with the same attributes. Life is short…we want you to rediscover what’s right under your nose, and add some color and class to your home and office ! Dress up your Dresser, Spice up your Kitchen, Spruce up your Drawers, Clean up your Bathrooms, Jazz up your Cupboards, get around to Refinishing those Antiques! We are your Cure for the Common Knob! FUTURE CLASSICS is the manufacturer (since 1998) and exclusive distributor of luxury DADOquartz bathtubs and basins in the USA. We stand behind our respect for quality of these freestanding solid-surface bathtubs with our Lifetime Warranty. Located in Charleston South Carolina we provide free shipping to your doorstep, with professional support from our Interior Designers available. These natural stone modern bathtubs have a soft-matt finish and can be customized with color painting on the outside. The unique DADOquartz material is exceptionally strong, hygienic and eco-friendly, while ensuring your water stays warm for longer. Available in various styles from contemporary to classic and from a compact 60'' to a luxurious 76'' deep soaker tub. These luxury bathroom items are guaranteed to elevate and turn your bathroom into a private spa sanctuary. We welcome you to contact us today. The FUTURE CLASSICS Team. Victoria + Albert Baths is a British brand with a worldwide reputation for creating beautiful freestanding tubs and basins. Formed in 1996 with a passion for tubs and bathing, the organization has a head office in the United Kingdom and dedicated South African production facilities. Today, Victoria + Albert’s international roots fuse together global design, sales and marketing operations with in-house manufacturing to deliver luxurious, lasting products. As the ultimate statement in quality and style, our model line-up is packed with inspirational free standing designs made from 100% ENGLISHCAST®, a blend of Volcanic Limestone™ and high performance resins. Naturally white, each item is individually hand-finished by craftsmen. From the very first freestanding tub being manufactured in South Africa, Victoria + Albert Baths have strived to become innovative product developers and market leaders within the free standing tub market. New, exciting launches keep the brand at the forefront of international luxury bath design. 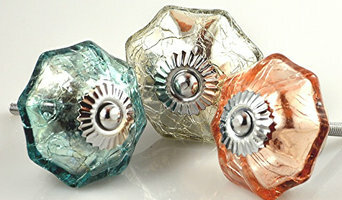 With over 30 years of experience in the glass industry, owners Thomas and Veronica Zombik, along with their qualified team of glass technicians, strive to achieve that Hilton Head Glass Company delivers the highest quality of products and services possible to the broad range of residents and businesses in the Lowcountry and surrounding areas. Aero Pure is committed to producing quiet, energy efficient, and affordable bathroom ventilation fans. Our wide selection of ENERGY STAR® qualified ventilation fans are HVI Certified, meet ASHRAE 62.2 code specifications for local exhaust and are compliant with California Title 24 Residential Lighting Standards and Washington State Ventilation and Indoor Air Quality Code for Source Specific Ventilation. Decorative Hardware & Plumbing showroom with five locations located in South and North Carolina. Bird Decorative Hardware & Bath is the Carolina’s trusted source for quality architectural hardware and plumbing fixtures. Our philosophy is to bring quality and selection to the consumer that is unsurpassed by anyone else. From traditional to contemporary and everything in between, there is something to enhance your project’s sense of personal style. Whether you are looking to remodel an outdated powder room, create your own personal spa retreat or building your new dream home, we are your trusted source for distinctive personal solutions. Creative, full service kitchen & bath design for new-build and remodel projects using several lines of American-made cabinetry. Remodeling services performed by experienced, licensed professionals. Showroom displays stylish usage of aging-in-place-design concepts. With over two decades of experience in providing water and energy conservation products to utility companies, program managers and government agencies, in 2010 AM Conservation Group launched a consumer brand. The brand, now called Simply Conserve, was created in response to an extraordinary demand for our products from individual consumers. Our products are available in retail locations and on-line and are quite affordable, easy to install and don’t require any change in lifestyle. Using our products will save money on expensive utility bills, while conserving energy, water and saving the environment. I am the Showroom Manager for Noland's Wholesale in North Charleston. We are now selling to both contractors and homeowners. First and foremost our service is impeccable, you will find us to be courteous, conscientious and knowledgeable. We have a brand new showroom carrying Tubs, Toilets, Lighting, Showers, Heaters, faucets ect. products such as Moen, American Standard, Danze, Victoria Albert, MTI, Altmans ect. Spartina Cabinetry and Design Consultants is a full service kitchen and bath design firm servicing the Charleston, South Carolina area. Specializing in custom home design and full scale kitchen and bath renovation projects, Spartina services entire projects from the initial design and planning phase to the final installation of custom cabinetry and countertops. Principal Designer - Melissa Koger Watson is both a professional member of the NKBA as well as an Allied Member of the ASID. Spartina Cabinetry and Design Consultants coordinates and works along side other Charleston area professional architects, engineers, and contractors on various projects to meet the needs of its clients. 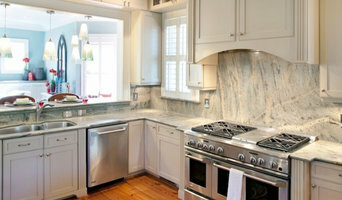 Kitchens and bathrooms are the most renovated rooms in any Charleston home. Storage is a top concern in these rooms, so hiring Charleston, SC professionals to create and install custom cabinets in your home can be key to expanding your spaces and controlling clutter. Use the Houzz Professionals listings to find Charleston, SC kitchen and bath accessory vendors. Don’t rule out asking a kitchen manufacturer’s design team for help, too. Skills often can be overlapped to save you time and money! Here are some related professionals and vendors to complement the work of kitchen & bath fixtures: Kitchen & Bath Designers, Kitchen & Bath Remodelers, Interior Designers & Decorators, Cabinets & Cabinetry. Find kitchen and bath fixtures and accessories, plus installation experts, on Houzz. Check out South Carolina kitchen products and installers, and bath plumbing products and installers, on Houzz. You can also look through project photos provided by Charleston, SC renovators, retailers and designers.